Show of hands if you’ve heard of a tidal pool. For those of you who are landlocked (like my family currently is), a tidal pool is made when the tide goes out. What’s left behind (in certain, special areas along the coast!) is the equivalent of a giant puddle! 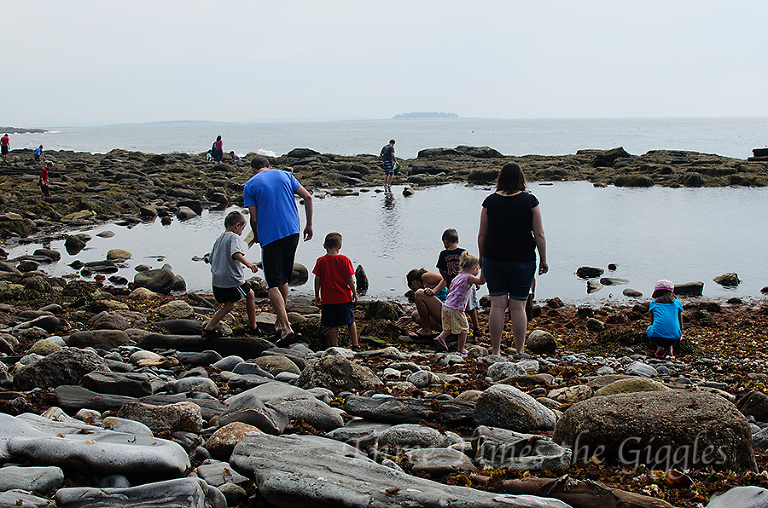 Inside the puddle are little sea creatures, which makes these tidal pools exceptionally fun to explore. 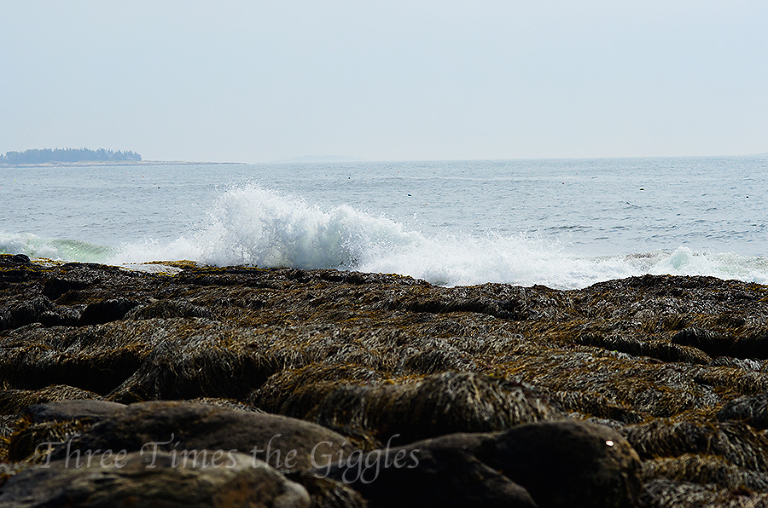 While we were in Maine, we looked at the tide chart, figured out when low tide would be, and headed out at the appropriate time. Now only was this a first for my kids, but it turned out to be first for my nieces and nephew too! 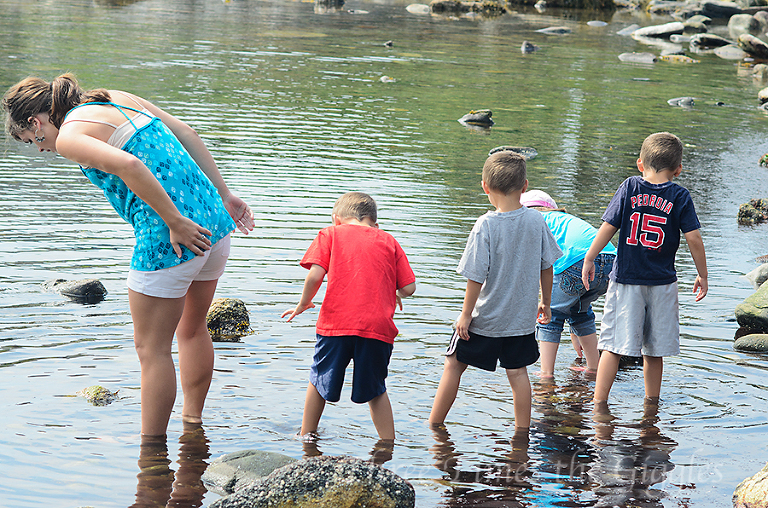 The kids all had so much fun wading through the water and looking for crabs, snails, starfish and cool seaweed! You can see the fog still trying to burn off, further out on the ocean. It didn’t take long to find something! 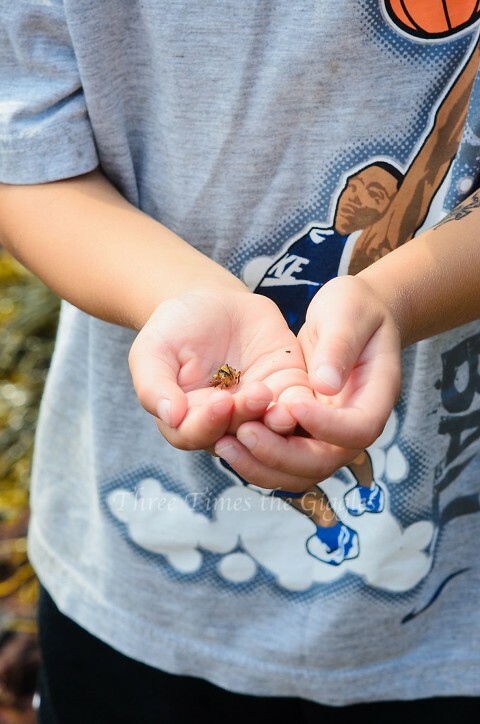 Ty with the first crab. 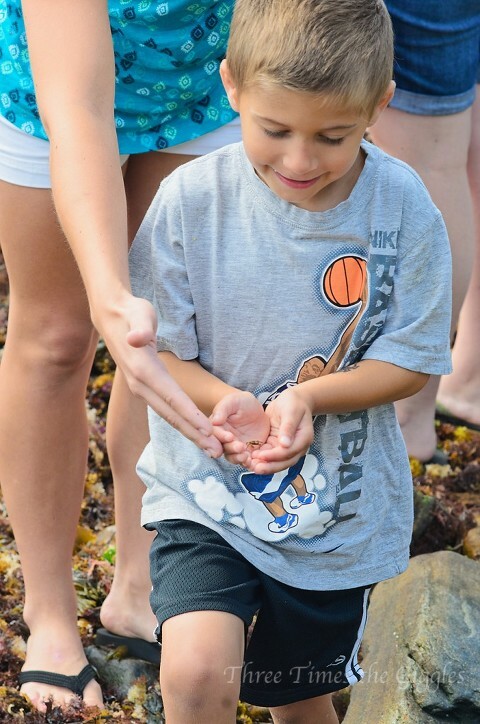 One of many reasons Aunt Laura is adored by her nieces and nephews – she’s willing to comb through slimy seaweed, in hopes of finding a crab for them to hold. Grandma, showing Ty a mussel.